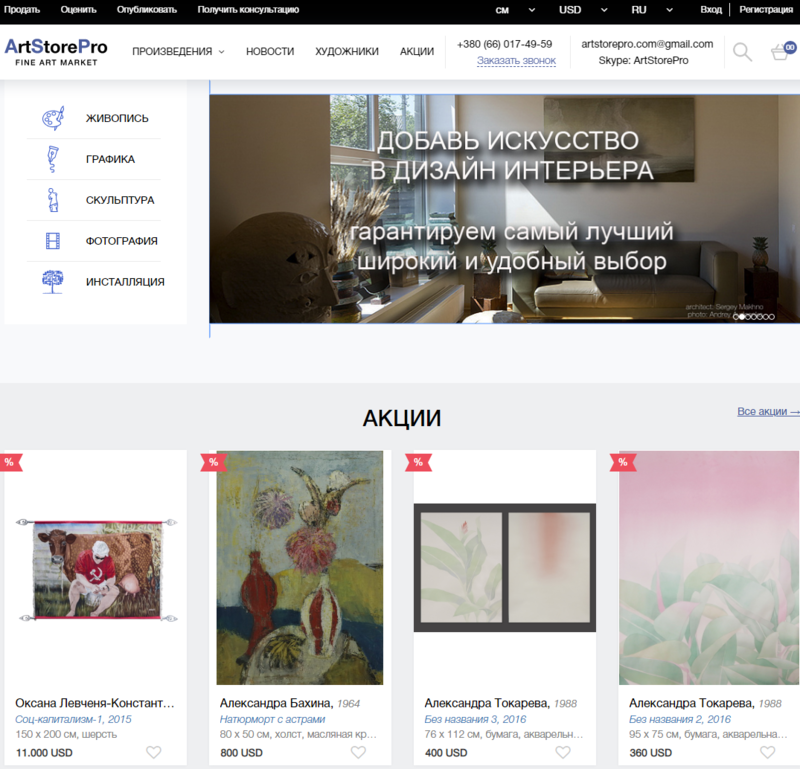 Here you can familiarize yourself with and get works from the collection “Garage of the Gallery”, which has been formed since the foundation of the gallery since 1995 and is one of the most systematic collections of Ukrainian modern art. The works of artists who cooperate with Karas Gallery, as well as with other galleries, collections, dealers and art-agents from all over Ukraine are also presented. Among the proposed works you can find works for any decisions – representative or friendly gifts, interior solutions of the house or office, replenishment or the beginning of a new collection. Among our features, we should note not only a wide choice and a high level of consultations, but also our own storage facilities, where you can immediately select works. For more than 20 years of work, we have developed partnerships with leading artists of Ukraine, which allows us to offer decent works of art at reasonable prices. We believe that communication with art will make our world harmonious, inspiring and kind. Wide assortment – more than 1500 works from 150 recognized authors from all over Ukraine. Careful selection system by leading experts. We are always glad to communicate with our customers. If you have any requests, suggestions or comments regarding the work of our resource – write or call us, and we will gratefully take your wishes into account! High level of service: qualified art experts and managers, many years of experience working with works of art and a well-functioning mechanism for the functioning of the store. Among our services is an exclusive fitting in the room (the opportunity to evaluate the selected works directly in your interior before the purchase), as well as help with the design and exhibiting of works in the interior, lighting design, etc. System of discounts, bonuses and gifts for customers, availability of loyalty programs. Certification of works, provision of related documentation and assistance with execution of documents for export of work abroad. Online consultations: phone, Viber, WhatsApp, Skype, Messenger, Email. Fast delivery is convenient for you: New Mail, DHL, forwarding delivery. Contact us and you will enjoy the consultation and additional knowledge from our experts who are happy to help you at any time.